*PR Samples used. All opinions are 100% my own. Full disclaimer details here. When will it end!? I’m 32 years old and still manage breakouts. Of course, it does not help that I am constantly testing new products to review here but regardless; I was ‘blessed’ with oily yet dehydrated, sensitive, acne-prone skin. Derms have always told me to try laser/LED therapy, but it can be VERY PRICEY and even *I* have monetary beauty limits. 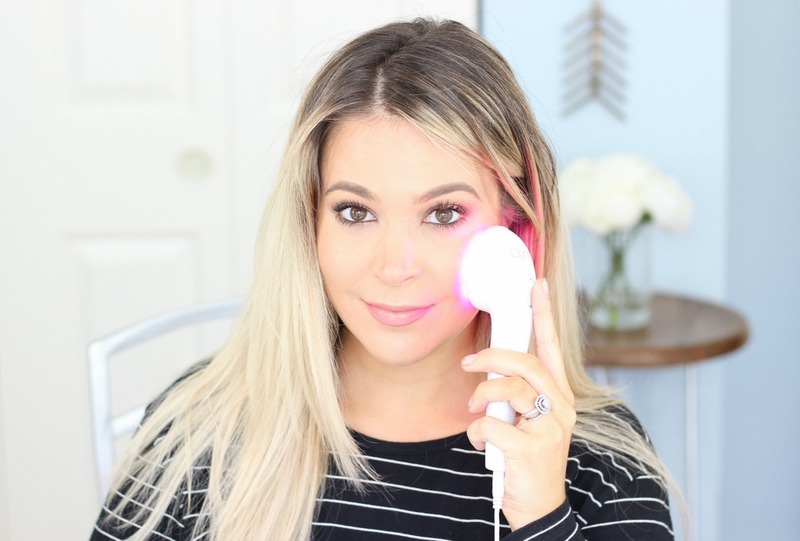 I discovered an at-home LED blue and red light therapy system called LIGHTSTIM from my most recent facialist and I was quite intrigued. If you want to know how to quickly get rid of acne at home, then this review is for you! Since I stopped taking birth control pills around three years ago (it was time to let my body do it’s thing after nearly 15 years on), I started experiencing the joys of true hormonal acne: that stubborn, mostly-under-the-skin jaw and chin area kind of breakout. This type of acne is not only frustrating but it tends to heal much slower and – on me – leave hyperpigmentation marks for months (sometimes years) after. 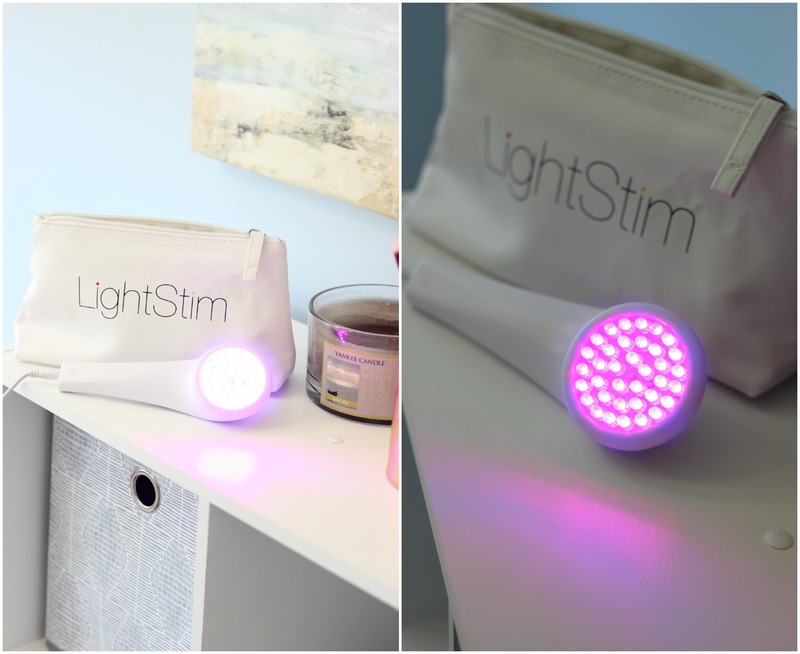 Lightstim LED lights have been used by skin care professionals at your dermatologist’s and spa offices for over a decade. The at-home kits are the SAME professional strength LED lights you get in the office, but now they’re available to use at your leisure without booking an appointment. Even better, the tool has NO MAINTENANCE. No having to order replacement cartridges or pieces. The Lightstim also includes a travel case so you can bring it with you wherever you go – discretely – and it won’t get covered in lint or dust. I know this sounds like an infomercial, but if you try your Lightstim for 90 days and DON’T see results (which… you will), they’ll gladly give you your money back. There’s a lot of options for LED therapy. You can find treatment for wrinkles, acne, and even muscle pain. Lightstim makes a tool one for all of those concerns. The Lightstim for Acne ($169) that I’m using emits blue and red LED lights. The blue light destroys acne bacteria. The red light reduces inflammation and promotes circulation. I should note I’ve been using my Lightstim for over three months now, so I am very comfortable with the product and how well it works. Start with clean, dry skin that has no products on. I prefer using Lightstim before bed, but that’s totally up to you. The handheld tool plugs into your nearest outlet. You turn the switch on and it will light up, preset for three minutes. Lay the tool flat against your face (or body) on the areas you’re experiencing concern. After three minutes, Lightstim will beep signaling it’s time to move to a new section of skin. Continue moving until you’ve covered all sections of your face you’re interested in treating. For me, it’s the jawline and chin… but occasionally elsewhere, as well. When you’re done, simply switch Lightstim off after its final three minute round. After treatment, continue with your skin care routine by applying your choice of serum and/or moisturizer then go to sleep. Easy! 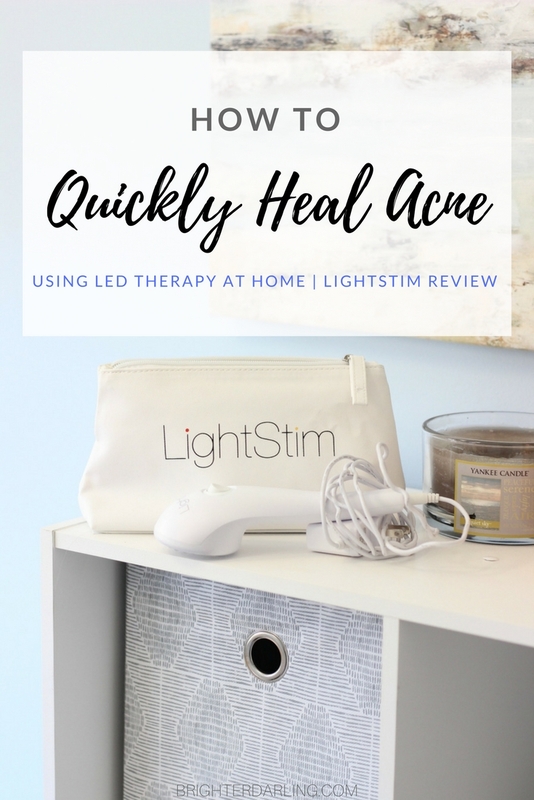 As a beauty blogger with sensitive skin that breaks out to NEARLY everything, the Lightstim for Acne has allowed my breakouts to heal exponentially quicker. I find that it minimizes acne in nearly half the time it takes without using Lightstim. When I first started using the tool, I used it every single night and within a week, I noticed I wasn’t breaking out even though I was still constantly testing out new products (as usual). After about 2.5 months, I switched to a few nights a week and specifically the week before my period when my skin is extra reactive. If I happened to skip a few too many days, I immediately notice my face having a meltdown and I’d sit back and remember I’ve been slacking on my Lightstim. Bad Beauty Blogger. I find Lightstim for Acne especially effective on my hormonal, stubborn spots. Those are the spots we know we’re not supposed to pick at but find topical treatments to be less effective (amirite?!). Lightstim somehow makes my topical products work more efficiently over those hormonal, almost cystic breakouts on the jaw/chin area. If you struggle with maintaining clear skin or also experience the annoying adult acne on the jaw/chin, then I highly recommend trying out Lightstim for Acne. The tool is not nearly as expensive as I initially thought ($169) and will save you a lot of money in buying tons of topical products in the long run! I think this would be a great holiday gift for those struggling with managing their breakouts – particularly as a female or adult. 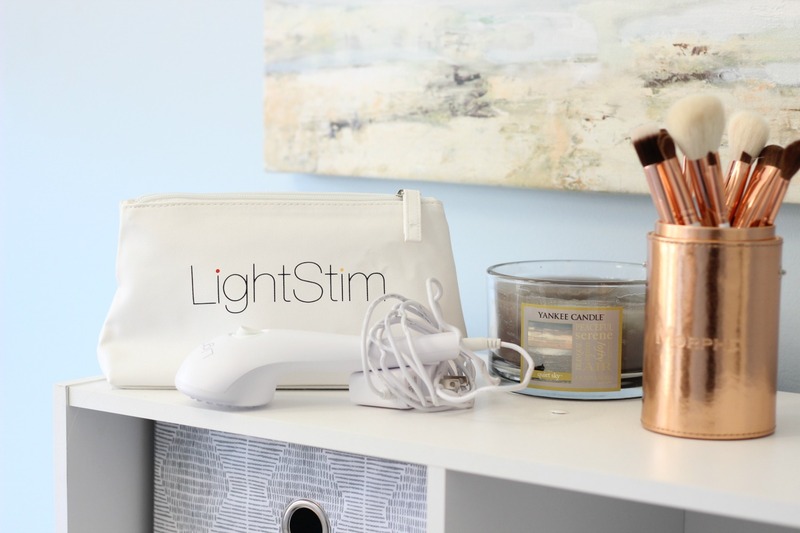 Learn more about Lightstim for Wrinkles or Lightstim for Pain, and buy your own Lightstim on Lightstim.com. "How To Feel Pretty During Your Period In 5 Steps"
"Expensive Blow Dryers: Yay or Nay? | Harry Josh Ultra Light Pro Review [YouTube]"